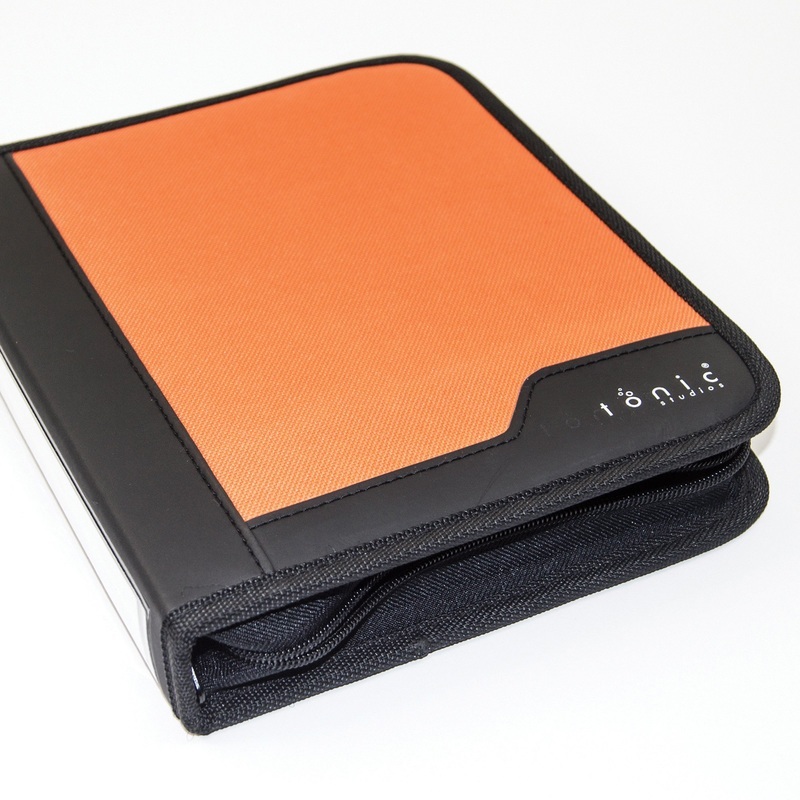 The Tonic Medium Ringbinder Die Case contains 6 clear plastic sleeves, each holding a magnetic storage sheet. Ringbinder measures approximately 230 x 205 x 45 mm. Magnetic sheets measure 148 x 148 mm.